Children’s swimming lessons are a rite of passage for most parents. Once your child reaches an age where he can start attending baby swim classes, you can expect to spend a considerable about of time every week, escorting him to the pool and waiting while he has a class. To begin with, the outing will be enjoyable, but as time goes on and you repeat the experience with his siblings, you will soon get bored of sitting there, week after week. Having spent many years escorting my children to swim classes, I can safely say I have more than enough experience to offer useful advice on the subject. Here are my tips to help you make the most of your time spent sitting poolside. Modern technology has made life so much easier in a million and one different ways. For most people, a smartphone is a complete entertainment hub. You can play games or browse your favourite social network. Check what’s happening on Facebook or see what Sun Bingo has been up to on Twitter. No matter what you feel like doing, the time will soon whizz by. Half an hour is more than enough time to catch up on work emails. Assuming you have internet access, use the time wisely and respond to urgent emails from your boss or clients. Being available out of hours will earn you some useful brownie points, so if you subsequently need to request an afternoon off for a school event, you stand a better chance of having your request approved. 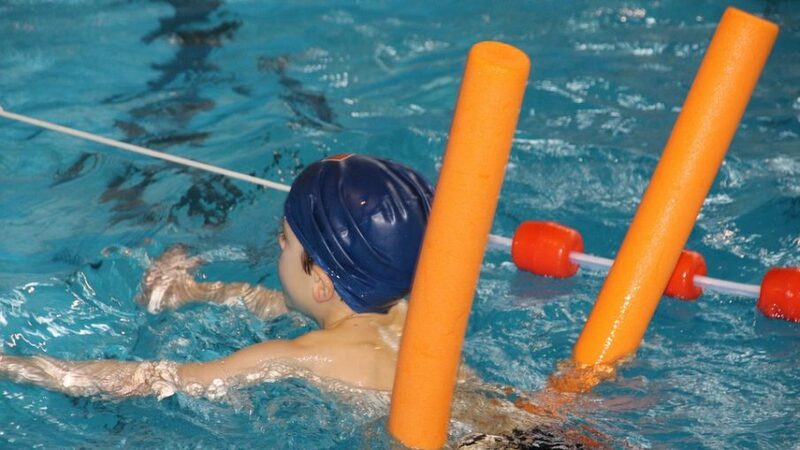 Swimming lessons are a great opportunity to do a bit of online shopping. Check out the latest offers in your favourite store or browse eBay listings. You can make a purchase or save items in your ‘favourites’ folder. Just be careful about inputting payment information if you can’t wait to buy a new pair of shoes, as public Wi-Fi networks are not secure. Reading a book is never a waste of time. You don’t even need to carry a paperback with you. Access your eBooks on your smartphone and read on screen instead. Alternatively, load up an eReader with hundreds of books and see how many weeks it takes you to get through them all. Conversation is much underrated. We all spend too much time staring at a screen instead of making contact with other human beings. You might find it hard to chat to strangers, but remember that you are all there for the same reason, so use the opportunity to make new friends. Are you studying for a further education qualification? If so, you can use the time you spend waiting for your child to learn to swim wisely. Take your text book along and make notes or revise. You don’t even need to have a table to work on, although it helps if you want to spread out your work. Do you struggle to find the time to catch up with friends? If so, spend half an hour chatting with a friend. Half an hour is plenty of time to find out what they have been up to since you last spoke. It’s also a perfect time to chat if your friend is prone to waffling on for hours, as you have a readymade excuse to cut the conversation short. Sleep deprivation is common amongst parents of small children, so if all else fails use the opportunity to have a quick nap in a warm environment.